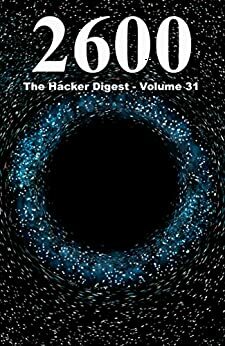 Volume 31 of The Hacker Digest consists of articles published in 2600 Magazine from 2014 to 2015 on nearly 100 subjects of interest to hackers and those who want to understand what hacking is all about. In addition, all of the popular payphone photos, back cover photos, and expanded front cover artwork are included in this volume. There are also Hacker Perspective columns - from both well-known hackers as well as some new voices -describing their experiences, thoughts, and philosophies on the subject of hackers and their place in society. This edition continues the Telecom Informer column focusing on issues of telephony worldwide and also saw the beginning of a new column from members of the Electronic Frontier Foundation called EFFecting Digital Freedom, which provides an insider look on the many fronts where the battle for digital liberty is being staged. Finally, the book is rounded out with one of the most popular features: the letters to the editor (over 200 in this edition), often with biting retorts from the 2600 staff. 2600 has been a tremendous resource for me as a Internet security consultant. Although it's a quarterly publication most articles or Ferley timely. For those of us who never stop learning, by taking things apart.